Learn how to do subtraction and addition in Microsoft Excel. 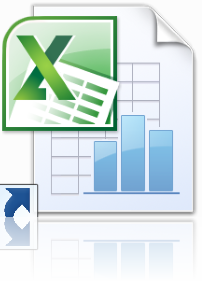 Many people use Microsoft Excel to organize numerical data. As result, there are times you have to do some mathematic calculations. Instead of reaching for your calculator, make Excel do the math for you! Familiarize yourself with the following math operators: the plus (+) sign to add numbers, and the minus (-) sign to subtract numbers. You can see the formulas for your equations in the formula bar. Add numbers with Excel. For example if you want to add 55 and 33, enter the following equation into one of the cells =55+33 (the solution is 88). Excel will then automatically do the math for you. This works for all types of addition problems. For example if you want to ad 55, 32, and 86 enter the following equation into one of the cells: =55+32+86 (the solution is to 173). Subtract numbers with Excel. For example if you want to subtract 33 from 55, enter the following equation into one of the cells =55-33 (the solution is 22). This works for all types of subtractions.